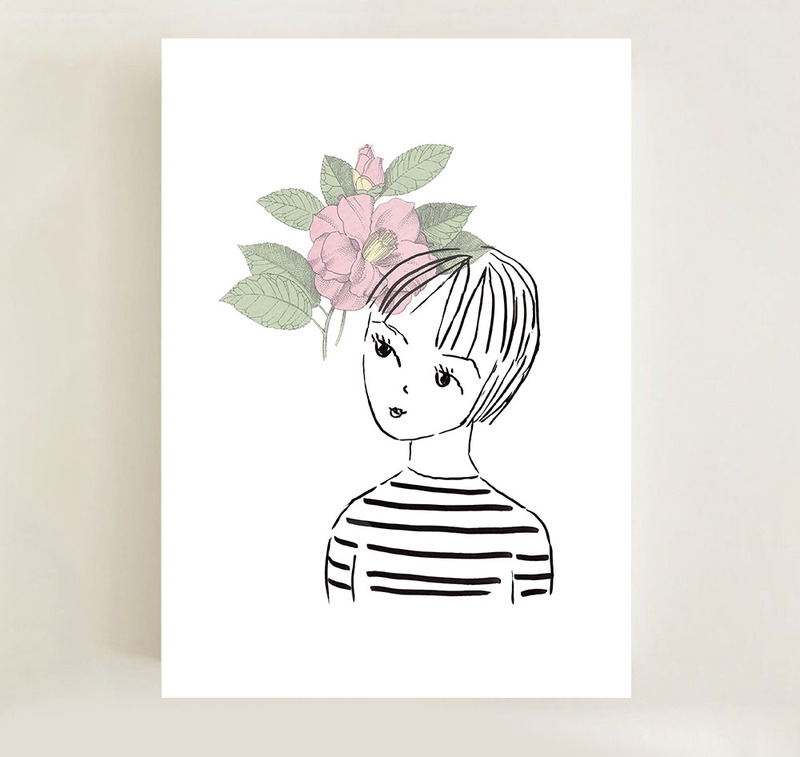 My new drawing of a girl thinking of flowers. I scanned her into Photoshop where I added the flower collage feature. She is available as a small print via my Etsy shop. A new print I created for my Etsy shop.